While you're going through all the activities of college life, no one can blame you if you're looking to take a quick nap or hoping to fall asleep extremely quickly. If you hate tossing and turning in your dorm room bed, then the aptly named Coma Inducer Full Blanket - The Original - White is just what you need to help you get some good rest. Surrounding yourself in the soft warmth of this amazing Full sized college blanket will help you to truly relax when you need a break. Made with an incredibly soft plush microfiber, this one of a kind dorm blanket is perfect for your Full size bed and your college furniture. The style of this Full sized blanket is also important, since you can add it to any area in your dorm room. Luckily, this extraordinary dorm blanket looks as great as it feels. 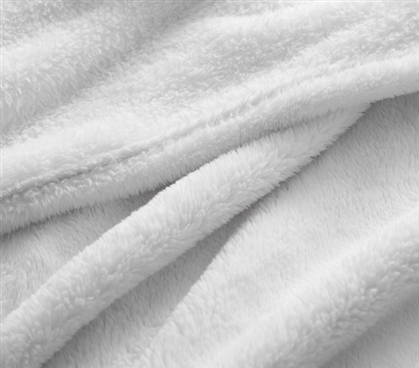 Featuring a chic white color, this trendy college blanket will easily match your Full size bedding and the rest of your dorm decor. So place this Full blanket anywhere in your dorm room where you normally look for extra comfort. It's beautiful color will guarantee that it will fit in no matter where you put it. 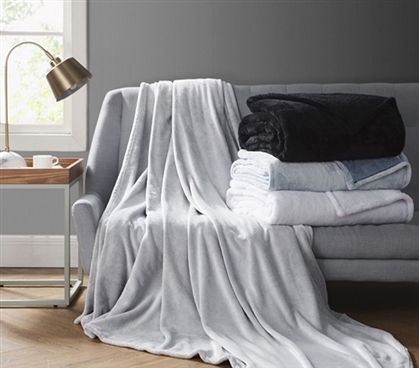 Such a stylish and comfortable Full size blanket is an essential dorm item to have around.